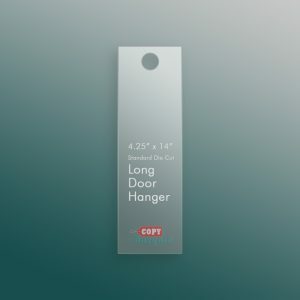 Door hangers are a great way to engage your local customer base and make a meaningful connection. Using this non-intrusive method to reach your target audience has many benefits, like ensuring that a call to action and a special offer get into the hands of someone who finds value in your business. These materials are eye-catching, and they can be printed with a variety of colors and images designed to not only grab people’s attention but also get them excited. 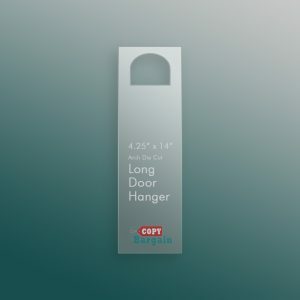 While most door hangers measure 4.25 inches by 11 inches or 4.25 inches by 14 inches, you’re free to get creative when choosing door hangers for your business, religious institution, political campaign or other message. 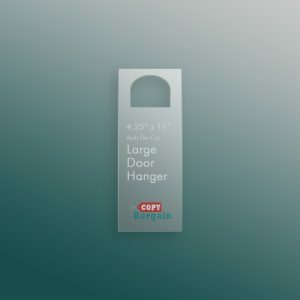 While knocking on someone’s door is rarely effective, hanging a door hanger ensures that people will see your marketing material. 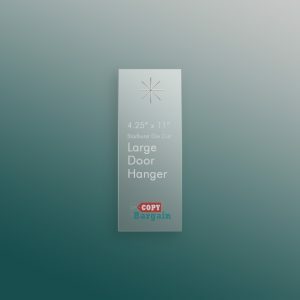 Think about how you can use door hangers to communicate your message. You can choose to use your company’s logo, a picture of your CEO or your business location. Alternatively, you can choose an image of your product; the choice is yours. 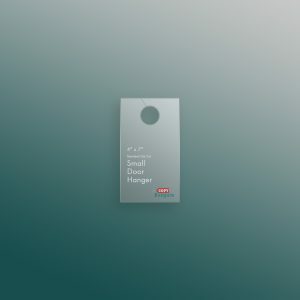 An image can be printed on just one side or on both sides. It can even be designed with a perforated tear-off section that customers can bring to your physical location to receive a special discount or a complimentary gift. 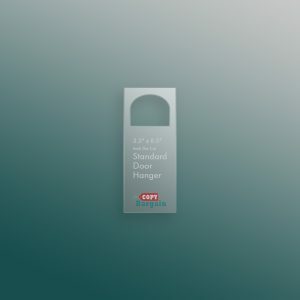 While rectangular door hangers remain a classic choice, you can also select an arch shape or a starburst if it better suits your design vision. 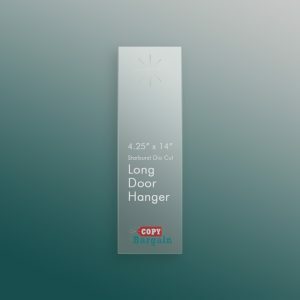 Your local print shop is a great place to get fast copies made, but when it comes to your marketing efforts, it’s best to work with professionals who understand the best way to use door hangers to capture your target audience’s attention. 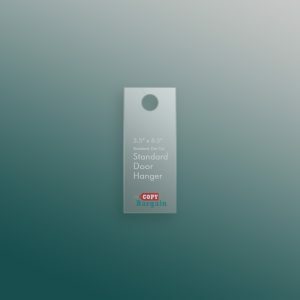 That’s why Copy Bargain has gathered the best marketing professionals from across numerous industries and teamed them with the best printing specialists and equipment to deliver high-quality products that you cannot find at just any print shop. 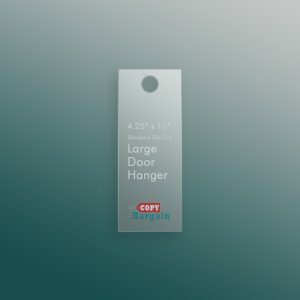 While you may already have a basic idea of what you want on the door hanger, working with professionals who have years of experience in producing attractive designs and customized messages allows you to deliver your message in a polished, cost-effective way. We provide rapid delivery to homes and businesses all across the U.S., and our wide selection of possibilities ensures that your message will make an impact.